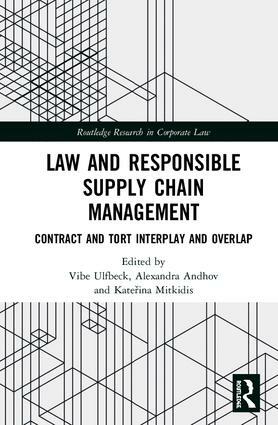 Developing supply chain liability: A necessary marriage of contract and tort? VIBE ULFBECK is a professor of private law at the Law Faculty at the University of Copenhagen. ALEXANDRA ANDHOV (JUDr., LL.M., S.J.D.) is assistant professor of corporate law at the University of Copenhagen, Faculty of Law.